This morning, little Miss Collins Elizabeth got tubes! In all honesty, we have been waiting for this day for months now and I wanted to take a minute to write a bit about our experience in hopes that it may ease some of the burden of guilt that you may be feeling as you deal with recurrent ear infections and persistent middle ear fluid. Just like with Ainsley, Collins started having ear issues around six months. It coincided with cold and flu season, and once she got her first ear infection around six months, despite treatment with antibiotics, she had fluid that wouldn’t go away. That meant that there was still fluid sitting on her ear drums, impairing her hearing and, over time, potentially causing other issues such as delayed speech, poor balance and more. If you want to read more about it, or are curious if your child might have something similar, you can do so here. Since we had been through this once before with Ainsley, it wasn’t a surprise to me, but I remember the first time around feeling so much guilt. 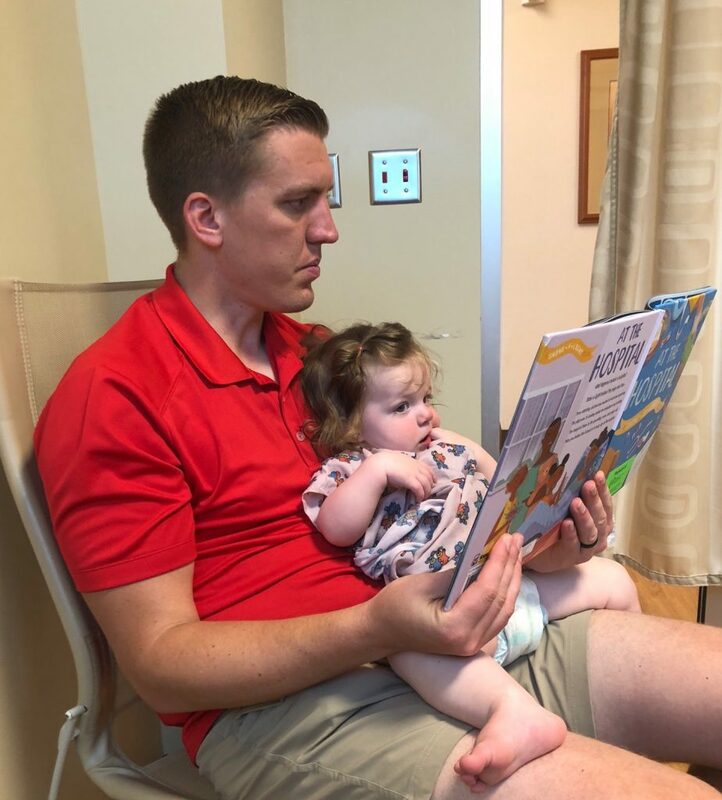 When I shared about Ainsley’s ear infections and chronic fluid, I got a lot of unsolicited feedback from friends, family, strangers on the internet and more. People telling me that if I had nursed longer, or if I gave my child more probiotics, or cut out dairy or gluten or used essential oils or cut up garlic and onions and placed them under her crib at night (seriously, I tried it once, the room stank and it didn’t work) or used a humidifier more often or went to more chiropractic. I know that nearly everyone who sent suggestions and ideas was probably well-intentioned in their feedback, but as a first time momma it was discouraging and overwhelming. For the record, we do take probiotics and visit the chiropractor regularly and try to feed our girls healthy food. I cut out dairy from Ainsley’s diet for a couple months when she was younger – which was miserable because the child LOVES milk. We had allergy testing done to make sure she didn’t have any hidden sensitivities to food. The list could go on and on. And you know what? At the end of the day the issue, for us, was more than likely a bad combination of genetics that led to an ear canal positioning that lent itself to trapping fluid. Despite the best efforts and intentions, tubes were the only (and best) option for our girls. The second time around? Well I had ZERO guilt and did a lot less stressing about the whole thing and just knew in the back of my mind that we were going to get the tubes as soon as we could and would go on living our life. Perspective is a beautiful thing, friends. So if you’re out there momma, trying ALL THE THINGS and worrying about if you are doing enough. Chances are if you’re worrying about that, you’re probably doing more than enough. Trust that momma gut, trust your doctors, and let the opinions of others go by the wayside.